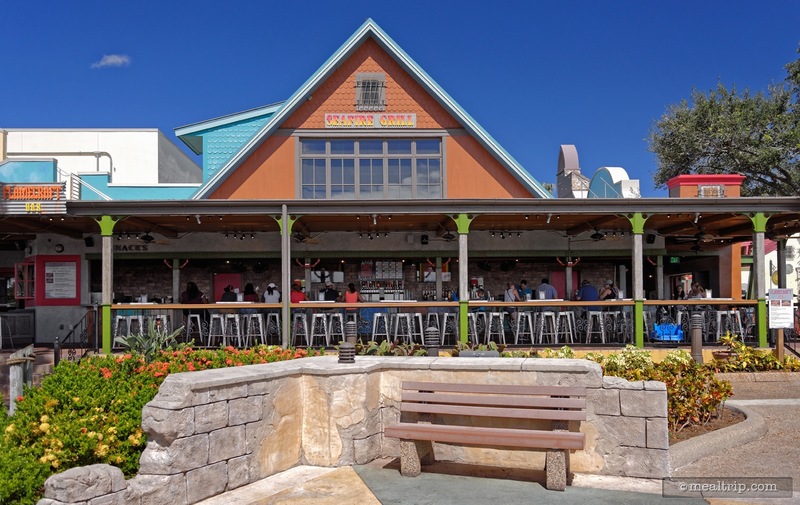 The Flamecraft Bar listing is a Lounge or Bar dining location at SeaWorld Orlando featuring Wine, Beer, Spirits or Beverage-based cuisine. There are 10 photos in the Mealtrip photo gallery for this location and dining period. 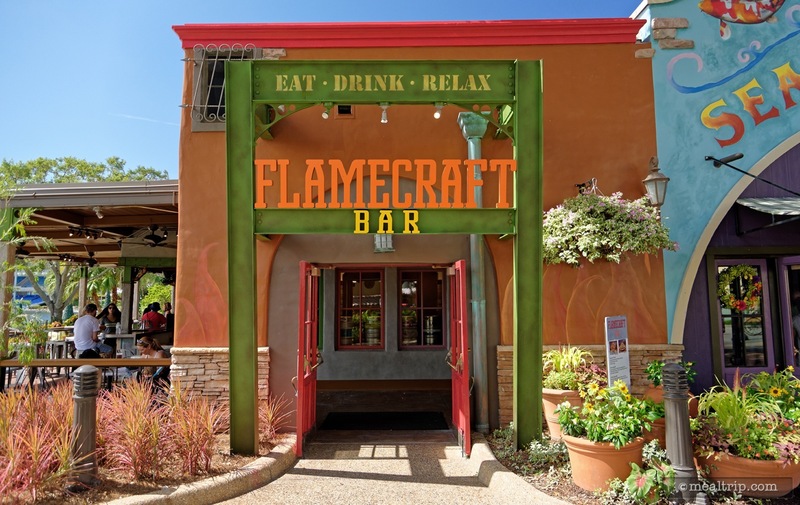 The Flamecraft Bar listing currently has a score of 57 out of 100. 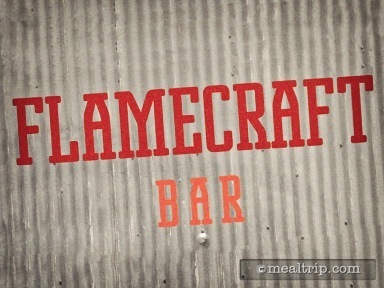 Click here to read all of the reviews for this location, or log in to Mealtrip.com to add your own review for Flamecraft Bar. 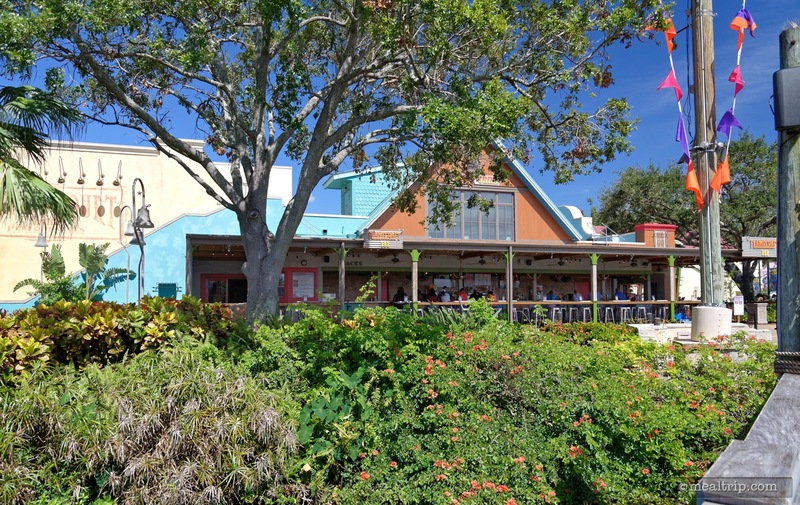 The entrance to SeaWorld's Flamecraft Bar is to the left of the Seafire Grill. 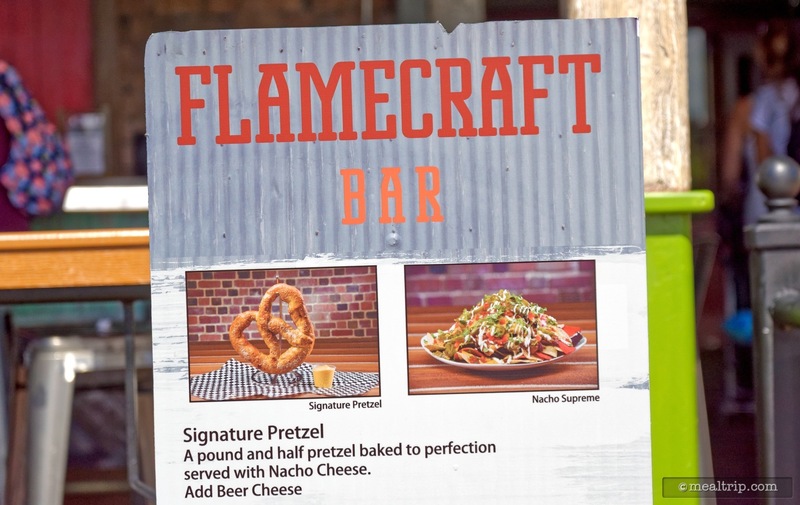 From a food standpoint, Flamecraft offers items that you would typically find at a craft bar including fresh baked pretzels and nachos. 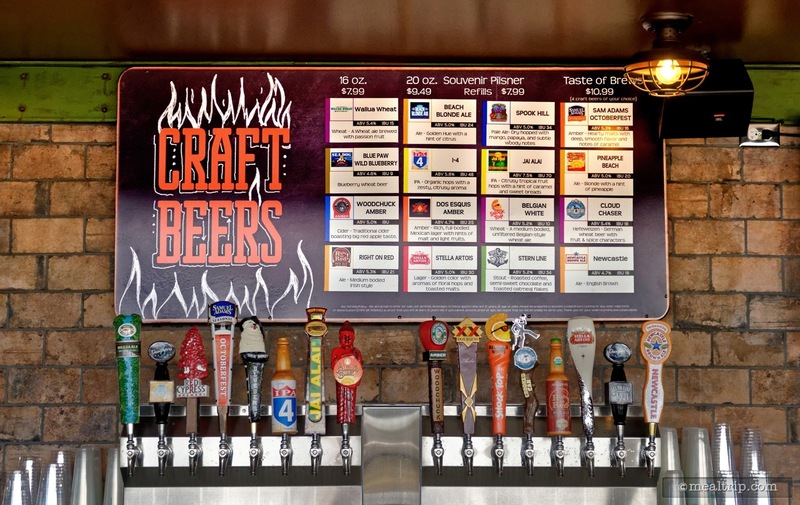 There are at least 16 craft beers on-tap at Flamecraft, a selection that will change a bit time to time reflecting the season! Tasting flights of beer are available. 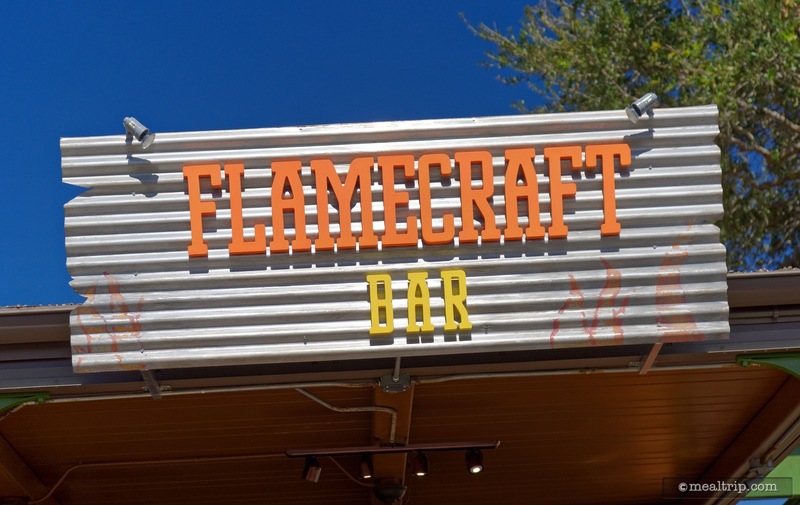 Flamecraft Bar is all outdoors but fully covered. Rain? In Florida, it depends on which way the wind is blowing. It might be cool… you might get really wet. 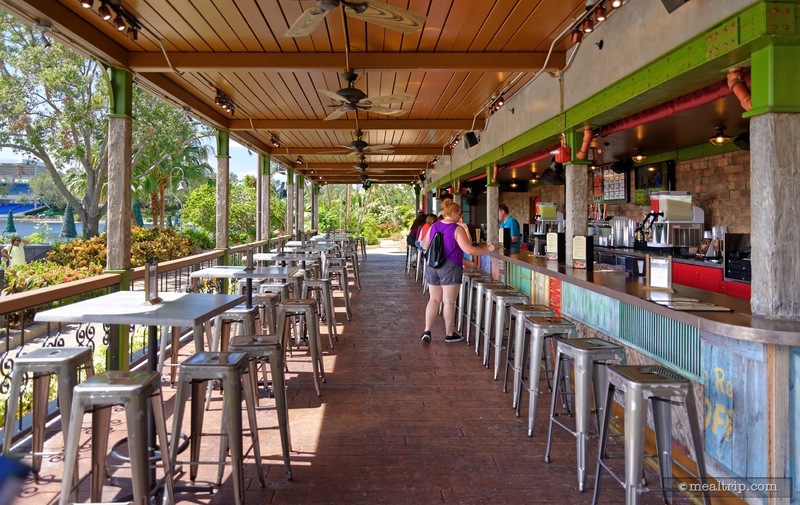 There are a couple of traditional "low" tables and chairs with backs on them at the very end of the location, but for the most part, it's back-less bar stool type seating either at the bar or at medium height tables. 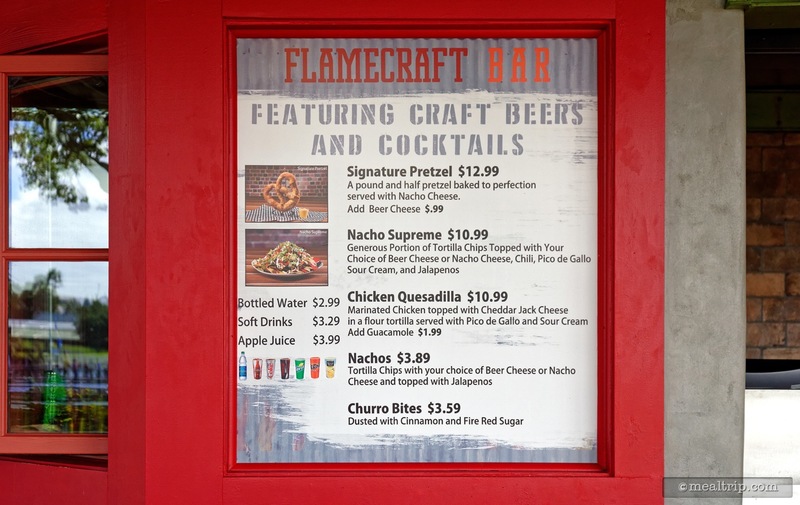 This rustic Flamecraft Bar sign is located on the side of the location. 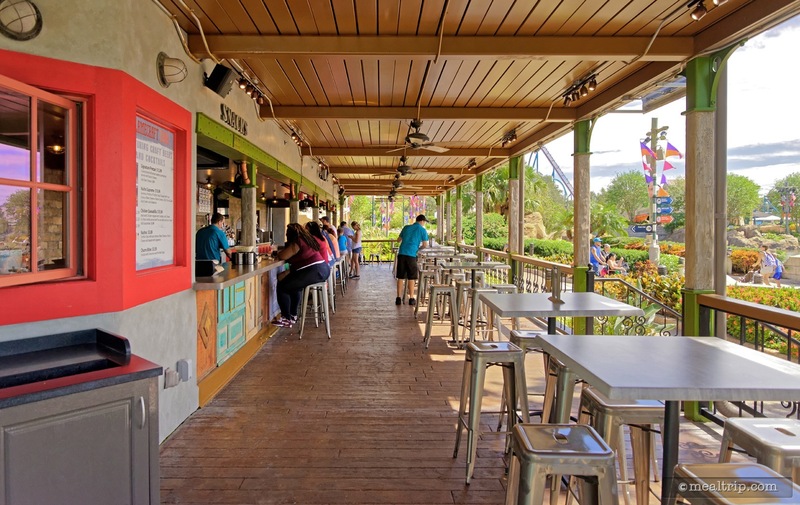 The front entrance of SeaWorld's Flamecraft Bar. The "side" of the Flamecraft Bar building was nicely designed because depending on which direction you're walking from… this could also easily be the "front". 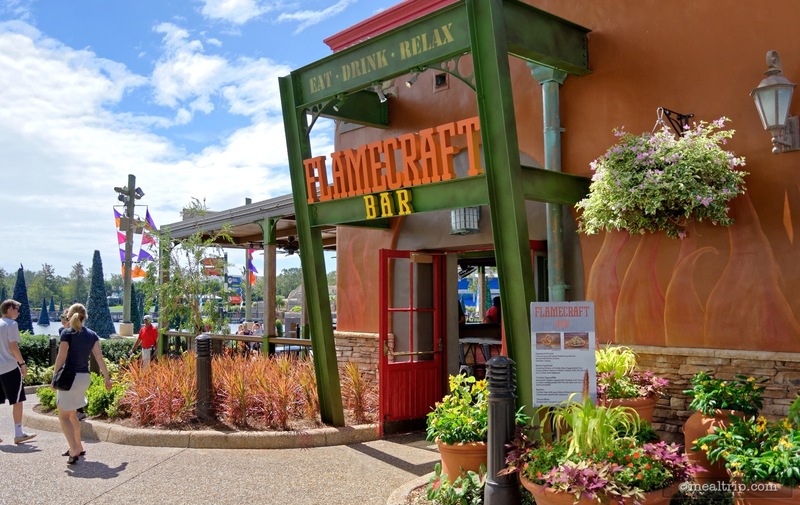 Here's a great looking side-photo of the entire length of Flamecraft Bar. That bench in the front, might be a pretty cool spot, after the sun goes down!